Most people are working towards living a healthy lifestyle, in terms of eating right and exercising. Because my goals have always been to gain instead of losing weight, I often hear “you can eat anything and you will be fine”. That is not true at all. I realized I tend to eat too much sugar and bad food. I grab “easy” processed snacks like chips, cookies, candy, or even cereal. Because I live a very active lifestyle, I need to be cautious of what I am fueling my body with. When I eat bad, it is reflected in my workout. I notice that I wont be able to lift as much and I become exhausted during the workout. A person can work out as much as they like, but if they are not eating right, they wont get the results they desire. 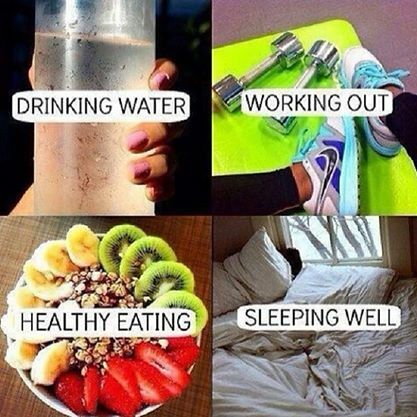 There is a lot of information out there on how to live a healthy lifestyle. It can become overwhelming. The best thing to do is to eat according to your goals. Find a plan that works best for you and your lifestyle. I am still learning what I should and should not eat. It is very tempting to grab that chocolate bar while in the check out line. But then I remind myself that junk food wont help me. There are days where I really just want to burger and fries. Knowing myself, if I have that meal once, I’m going to want it the next day and the next day. In my opinion, maintaining a good nutritional plan is harder than going to the gym consistently. Nothing is too hard or impossible. Nutrition takes DISCIPLINE! Develop a plan, implement it, and commit to it. Find an accountability partner too if that helps. Keeping them on track will also help keep you on track. You will have moments where you slip up and that’s okay. Just get back up and continue pushing. Now go redo that grocery list for the week.